A version of this post originally appeared on Change.org. This Mother’s Day, Academy Award winning actor and self-proclaimed “mama’s boy” Javier Bardem used his star-power by sitting down the Enough Project's co-founder, John Prendergast, to draw attention to the threats women face in the Democratic Republic of Congo, ranked as one of the 10 worst places in the world to be a mother. Awareness about the link between eastern Congo’s decade-long war, consumer electronics, and the trade in conflict minerals is growing. Perhaps most significantly, the conflict minerals provision of the Dodd-Frank Wall Street Reform Act passed last year in no small part thanks to the efforts of activists, who pushed a notable shift in how people in Africa’s Great Lakes region perceived public concern over Congo’s minerals. “[At first] we didn’t take this legislation seriously, and we thought there would be a compromise,” a mining executive said recently (i.e. ‘we thought we’d be off the hook’). Earlier this year activists turned out in impressive numbers to urge the U.S. Securities and Exchange Commission to enact strong regulations to hold U.S. companies responsible for tracing and auditing their supply chain for minerals from eastern Congo, to ensure that they are not funding armed groups. The commissioners, not used to coming under scrutiny from the advocacy community, heard your concern and said in private meetings that they valued this impassioned input. The SEC recently announced a delay in the release of the final rules regulating U.S. companies, so we can’t yet declare victory. But while we watch to see how the SEC process unfolds, there’s more to do. And the Obama administration has a key role to play. The upside to the increasing attention on Congo’s conflict minerals is that a number of initiatives are underway to begin to trace, audit, and certify the mineral ores mined in Congo. However, without coordination or someone to lead the process and compel the necessary high-level buy-in, efforts risk being manipulated by those who benefit from the current system (or lack thereof). As the first country to take a firm stance against the trade in conflict minerals and an influential presence in Africa’s Great Lakes region, the United States is well positioned to take the lead on getting conflict minerals out of our supply chain. But the Obama administration needs to step it up quickly. Without a streamlined plan in place to assure companies they can continue doing business in Congo after the U.S. law kicks in, mining companies are getting skittish and local communities are feeling the effects. So to urge the Obama administration to urgently take up this role, the Enough Project’s Raise Hope for Congo campaign is launching a petition targeting Secretary of State Clinton (the “Mother-in Chief” as Bardem and Prendergast said) and calling on her to use her convening power to bring together senior executives of electronics companies, mining industry groups, Congolese civil society, and regional political leaders to build on existing initiatives and create a single, comprehensive international certification system. This is by no means the first time such a system has been put in place; certification schemes have helped crack down on blood diamonds, illegal timber, corruption in the oil, gas and mining industries, and sweatshops (detailed in a recent paper by Enough). 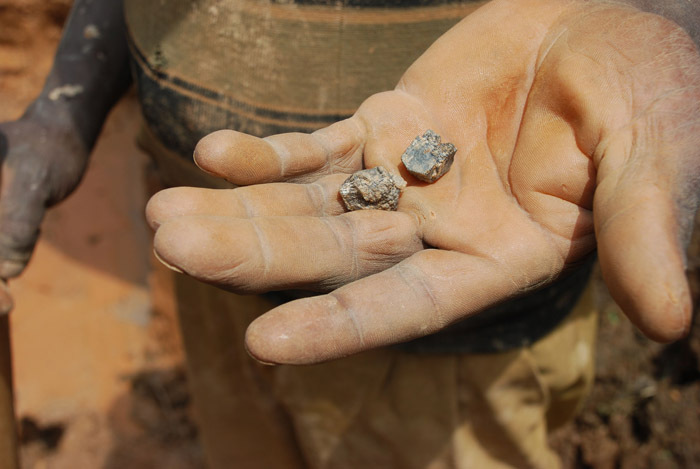 With lessons from those past experiences in mind and a renewed resolve, establishing a system for ensuring that Congo’s mineral wealth benefits its people – rather than perpetuates conflict – is possible. Tell Secretary Clinton to take on this leadership role.